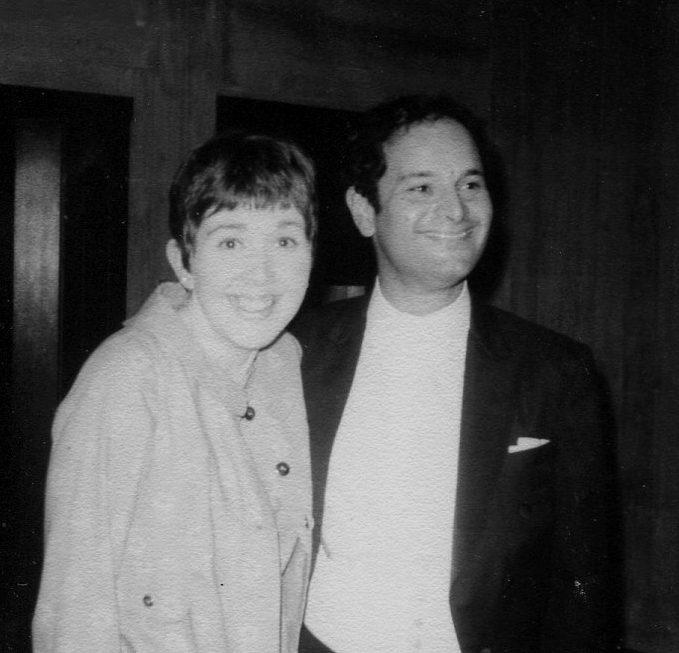 André Tchaikowsky composed the Seven Shakespeare Sonnets in 1967 for mezzo-soprano Margaret Cable (pictured here with André Tchaikowsky). Their paths crossed at the Dartington Festival and Tchaikowsky was so taken by Cable’s talent that he immediately set to work to compose these songs for her. The sonnets that Tchaikowsky chose for this set of seven songs are not the most well-known of Shakespeare’s sonnets. Perhaps it was a subconscious decision on Tchaikowsky’s part or a tenuous link drawn by myself, but the estrangement of the beloved is reflected with the first sonnet being the most well-known of the collection and gradually, as grieving progresses, the verses become more obscure. The speaker realises that beauty is in the eye of the beholder and that what is seen here is perhaps the sweet memory of a love that once was truly in bloom. The piano introduces a drooping picture. Two-note figures create a broken melody and so the music feels its way through the broken lines. One could imagine the spurned lover trying to trace the contours of the remembered beauty of the “fair friend” with her fingertips on a cold, rain-teared window pane. Perhaps she is looking on as the beloved leaves through the garden gate without a backward glance. The music and text reminds me of Paul Verlaine’s Il pleure dans mon coeur. The voice enters quasi recitative, hesitantly uttering the opening lines. Throughout the song the vocal line, swooping upwards momentarily, reminisces on bygone times. This is the start of the love affair turning into mere fading memories. Throughout the song the tessitura gradually moves lower through the voice and the finality of the break-up is confirmed when the voice lowers to its deepest point in the final line. The descent into the abyss of love lost is confirmed when the piano has the last say with two final crashing chords.